9571 Beckwith Road, Richmond, BC V6X 2L4. Phone: 778-833-3379. Open: Late May to September 4th: Monday to Saturday, from 10 am to 5 pm; September 5th to October 1st: Saturdays from 10 am to 5 pm; October 2nd to November 15th: Please call my cell (778-833-3379) for service. Directions: Going east-bound on Bridgeport Road, take the last left before the Oak Street Bridge (Gage road), and then take a right on Beckwith Road gong east-bound to the end of the road. There will be a gravel path beside the cherry trees on which you can park and make your way over to the large (and very noticeable) blue shed. Click here for a map and directions. Email: info@dfgblueberries.com. Click here for a map and directions. Crops are usually available in July, August, September. Open: July to Mid September 7 days a week, open 9am til 9pm. 11300 Number 4 Road, Richmond, BC V7A 2Z8. Phone: 604-272-4033. Open: Only on certain days, weather influenced, call for availability, from 9 am to 6 pm. Click here for current open hours, days and dates. 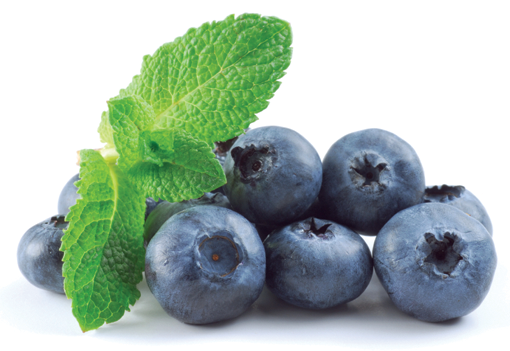 Comments from a visitor on July 14, 2010: "Blueberries are raised with organic practices, but not certified. Not sure about the rest of the crops." 333 Gladwin Road, Abbotsford, BC V2T 5Y1. Phone: 604-853-3108. Fax: 604-859-6170. Directions: Hwy 1 to Clearbrook Road. Left on Clearbrook Road. Left on Huntington Road. Right on Gladwin . We are open September, October. Our hours are: Monday to Saturday from 9-5 Sun 11-5 Payment: Cash, only. 790 McKenzie Road, Abbotsford, BC V2S 4N7. Phone: (604) 308-2205. Open: Monday through Sunday, from 10 am to 5 pm. Click here for current open hours, days and dates. Picking updates: Click here for picking updates. Directions: Take exit 92 and head south along Highway 11 towards the border. Turn right onto Vye Road. The farm is at the corner of Vye and McKenzie. Click here for a map and directions. Strawberries: Mid June to mid July Raspberries: July through mid August Blueberries: Mid July through August Corn Maze: Late August through October. We use integrated pest management practices. Payment: Cash, Debit cards, Visa/MasterCard. Click here for our Facebook page. (UPDATED: June 27, 2011) (ADDED: May 19, 2009) . 333 Gladwin Rd, Abbotsford, BC V2T 5T1. Phone: 604 853 3108. Open: From September 1 until October 31st. Click here for current open hours, days and dates. Picking updates: Click here for picking updates. 288 McCallum Rd, Abbotsford, BC V2S 8A2. Email: willowview@shaw.ca. 2170 Westham Island Rd, Delta, BC. Phone: 604-946-7139. Alternate phone: 604-946-7471. 2727 Westham Island Road, Delta, BC V4K 3N2. Phone: 604-946-8216. Uses integrated pest control management. Wagons and containers available for use while picking. Has picnic tables and ice cream stand. Cash only. 12617 - 203rd Street, Maple Ridge, BC. Phone: 604-465-3359. Email: info@formosanursery.com. Alternate phone: 778-895-3268. 5180 – 152 Street, Surrey, BC. Phone: 604-574-1390. Fax: 604-574-1558. Open: every day from May 1 to October 31, 8 am to 7 pm. All types of vegetables in season; Okanagan fruit in season. 5047-184 Street, Surrey, BC V3S 0L5. Phone: 604 576 6732. Fax: 604 576 6695. Open: February to March 15: Monday to Saturday from 9:00 am to 5:00 pm; March 16 to September: Monday to Saturday from 8:30 am to 6:00 pm, Sundays from 12:00 to 5:00; October to December 24: Monday to Saturday from 9:00 am to 5:00 pm; Closed: December 25 to January 31. Click here for current open hours, days and dates. 24990, 84 Avenue, Fort Langley, BC . Phone: (604) 888-0788. Email: aldoracres@telus.net. Clingan Blueberry Farm - Blueberries, Picked and U-pick, Frozen as well. 24576 32 Avenue, Langley, BC V2Z 2J5. Phone: 604-534-7360. Email: lucy@clinganberryfarm.com. or Email: clinganblueberryfarm@yahoo.ca. Comments from a visitor on July 26, 2012: "This is not a u-pick farm until they fill all their customers orders for blueberries. They open for u-pick at the end of the blueberry season"
Open: We are open early June to mid August everyday from 8 am to 8 pm; We encourage you to call us to make sure the fields are open for picking before coming out. You can bring buckets or buy them from us to use and take home; Families welcome; (No pets in fields please;). 4015 244th street, Langley, BC v2z 1m8. Phone: 604-803-9185. Open: Weekends starting mid - July from 10am to 5pm. Art on the Farm, 1162 Iverson Road, Columbia Valley, BC. Phone: 604-858-5398. Email: artonthefarm@shaw.ca. Directions: From the # 1 highway take exit 109 head S.E. down Yale Rd West travel 1km down Yale rd W. and you will see us on the left hand side across from Chilliwack Golf and Country Club And for a map to our farm, click here. Crops are usually available in September, October. Open: Maze opens Aug 17. Aug hours Tuesday to Sat. 1pm-9pm, Sept/Oct 31 from Thur -Fri 6pm-9pm, Saturday from 1pm-9pm Sunday and Holidays from 1pm-6pm, Halloween night 6pm-9pm The apples, Sunflowers and Indian corn should be ready mid September. The Pumpkins and Gourds should be ready the beginning of October. From very very large to small minis and from bright orange to white pumpkins!! Come and see our NEW goat walk too and feed our goats!! OUR PLACE MAKES THE BEST SCHOOL FIELD TRIP, we give out many free educational, agriculture handouts Payment: Cash, only. Our farm has been developed to get THE FAMILY back on the farm, having a great outing together that is fun for the very young to the very old. Our place and maze IS wheel chair and stroller accessible. Directions: click here for a map and directions. Also prepicked blackberries and corn. 19393 Dewdney Trunk Road, Pitt Meadows, BC V3Y 2R8. Phone: 604-465-4728. Open: 7 days a week from 7:00 am to 6:30 pm.